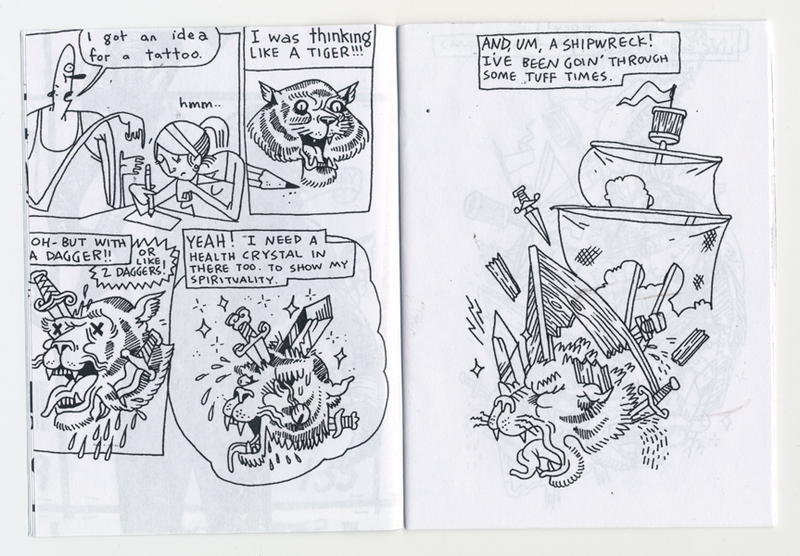 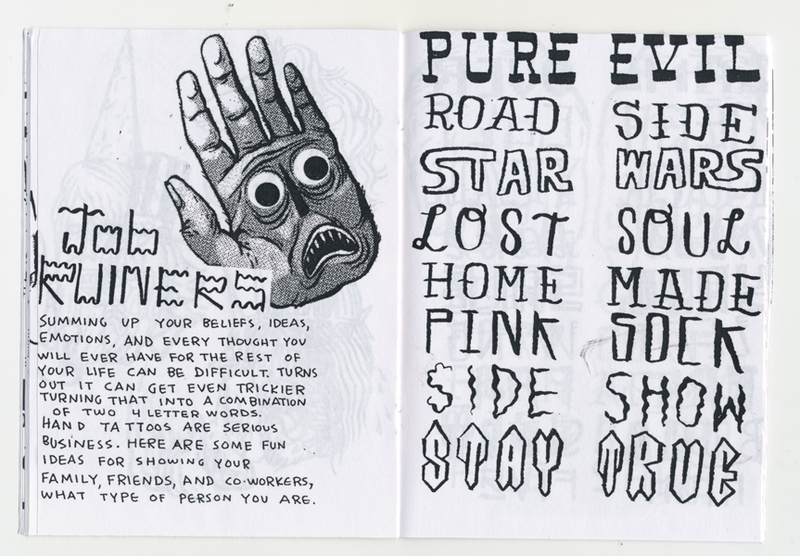 Whoops Tattoo Zine #1 is the product of silly conversations about my girlfriend‘s job as a tattoo artist. 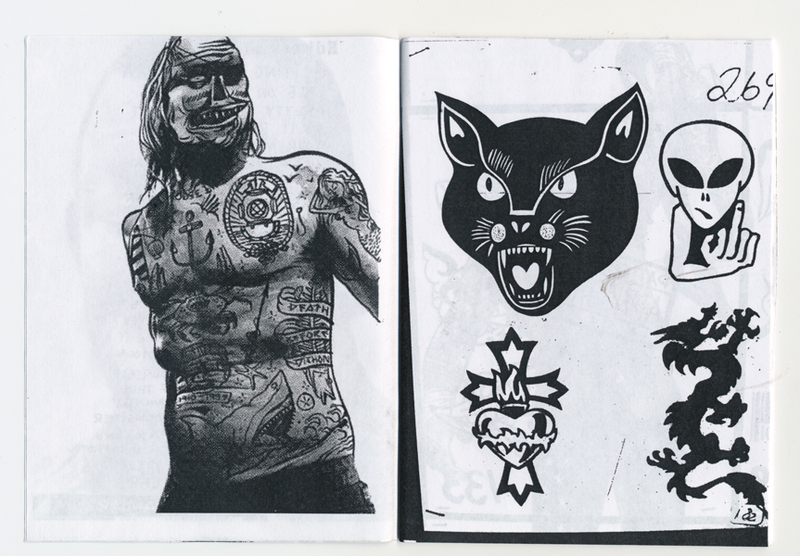 Focusing mostly on the decision process behind a tattoo, the zine highlights the dumber artwork found permanently etched in human skin. 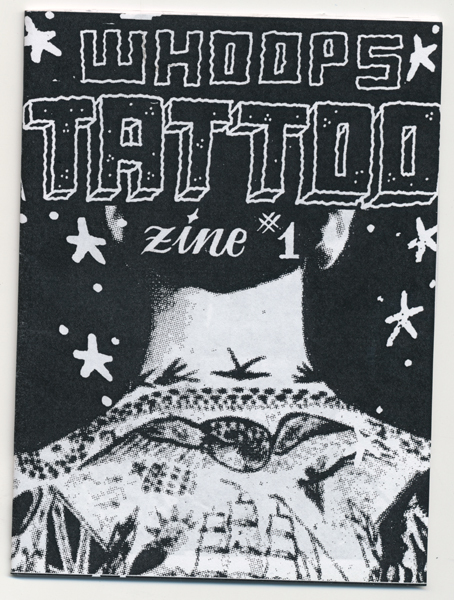 Get one in the store!